Faculty, staff and students are invited to attend the first open house for the Benton Slope Planning Study. 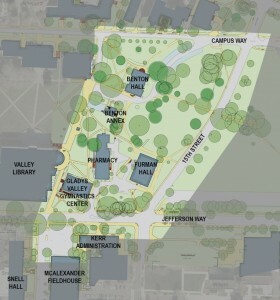 The study will review circulation in the area surrounding historic Benton Hall and provide recommendations for improved circulation, with focus on pedestrian accessibility, bicycle circulation, vehicle circulation, parking and lighting. 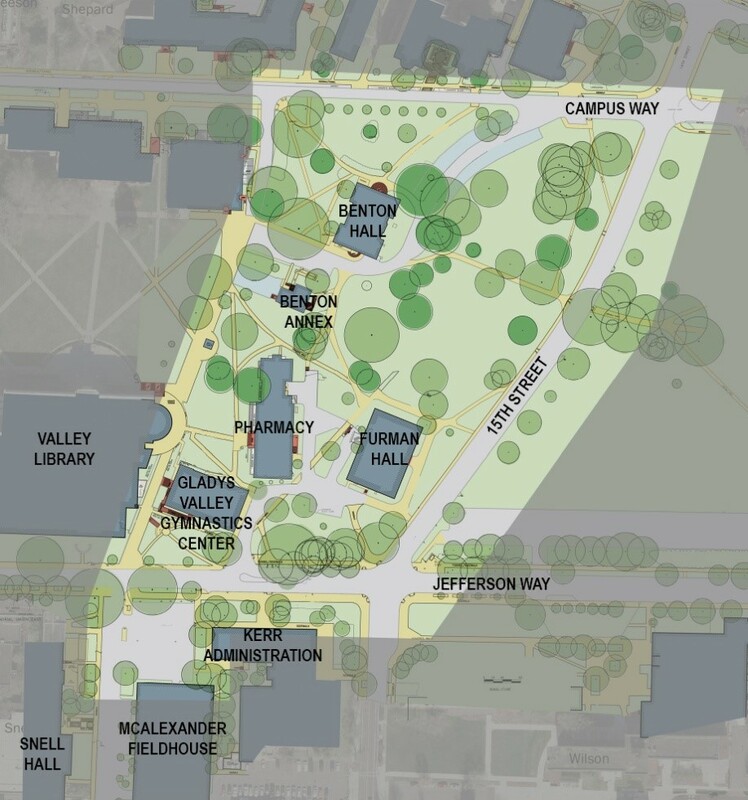 The planning team will be available to provide an overview of the project and obtain input ideas and issues from people who work and use this area of campus. This will be a casual format. Please feel free to drop in at any time during hours listed below. If you have any questions, please contact: Ned Nabeta at 541-954-0294.